Food Bites: White Dog Wayne’s Summer Cocktails! ‘Farm to Bar’ cocktails at Wayne’s White Dog are all the rage with Main Liners! 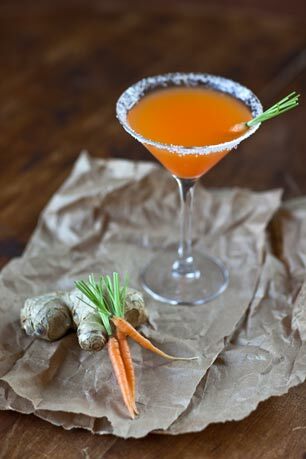 Pictured is the popular Carrot-Tini: House Infused Orange Vodka, Freshly Juiced Carrot Juice Cointreau, Fresh Sour Mix and Ginger Sugar Rim. White Dog Wayne recently rolled out a slew of sensational summer cocktails to wow their discriminating clientele. ‘Farm to Bar’ cocktails feature ingredients (fruits and veggies) resourced from their local farms-clever concoctions that are sure to hit the spot during the dog days of summer. Stop by White Dog soon and be sure to raise your glass! House Infused Liquor, Available In Strawberry, Raspberry, Apricot, Blackberry, & Blueberry. White Dog supports the farmers who provide them with a wealth of fresh, local ingredients. Keep an eye out for new additions to their Farm-to-Bar cocktail program. They’ve got some great things planned for the season!